There are so many events on the Emerald Coast from which to choose to celebrate Easter and kick off spring at the beach. Dog-Harmony and Grand Boulevard invite you and your furry friends to kick off Easter in Grand Park with puppy and people treats, live entertainment, a raffle drawing, and an Easter Egg hunt. Proceeds go to benefit Dog-Harmony. There is a $10 suggested donation per basket. This event is open to all youth 12 and under, with a special egg hunting area for crawlers and toddlers. Take the kiddos out for a day of family fun and entertainment, including lawn games, face painting, and an inflatable obstacle course. Everyone should get their picture taken with the Easter Bunny! 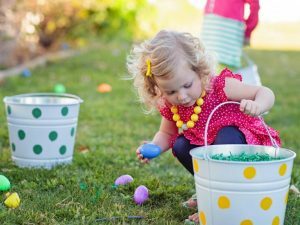 Children ages 10 and under are invited to hunt for 10,000 eggs at this year’s Panama City Beach Easter Egg Hunt. The Easter Bunny will be available for photographs and best of all, it’s free! 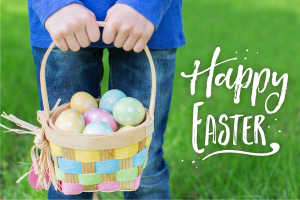 Hang out with the Easter Bunny and enjoy live music, face painting, crafts and an egg hunt with over 18,000 eggs at Seaside’s annual Easter Celebration. The giant egg hunt begins at 1pm, and it’s free and open to all. Come wiggle your ears and shake your tail with Taylor Clark & Friends, Joleen Jones, and local music legends Hubba Hubba live on stage at the 29th Annual Bunny Hop. Drinks and food will be provided by Grayton Beach Catering. All are welcome, and it’s free to get in! Children will be awed at the sight of thousands of candy-filled eggs being dropped by a helicopter onto the front lawn of The Henderson. Everyone is encouraged to bring their own Easter Baskets, and be ready to make memories! Chef Jim Shirley and his team at The Bay have a huge spread planned with something for everyone. Relax and take in the gorgeous view of Choctawhatchee Bay as the kids play on the beach. Brotula’s in Destin is hosting a brunch buffet as well as their Sunday Funday all-you-can-eat crawfish and all-you-can-eat snow crab. Drink specials will include Bottomless Mimosas, $5 Rosé, $5 Bloody Mary’s, and 15% off select bottles of wine. Looking for a gulf view on Easter Sunday? Sit by the sea and spend time with the ones you love as you enjoy a brunch buffet at Vue on 30A. Get out and enjoy our one-of-a-kind community while delighting in the rites of Spring!